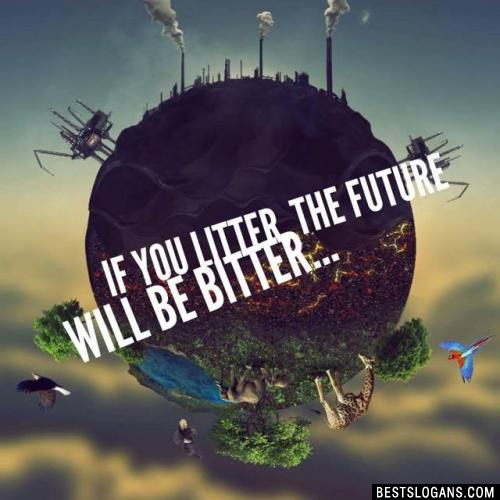 List of unique and award winning pollution slogans in english including the best pollution sayings & catchy phrases. Air pollution can take the form of greenhouse gases, such as carbon dioxide or sulfur dioxide, which are warming the planet through the greenhouse effect. 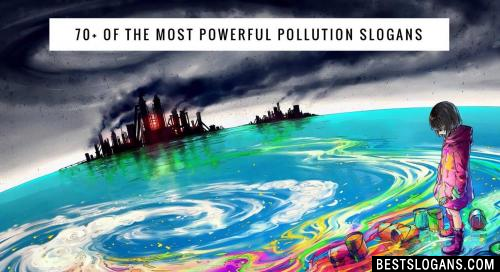 Here are more facts about pollution and how its ruining our environment. Pollution is one of the biggest global killers, affecting over 100 million people. Thats comparable to global diseases like malaria and HIV. Over 1 million seabirds and 100,000 sea mammals are killed by pollution every year. Approximately 40% of the lakes in America are too polluted for fishing, aquatic life, or swimming. Look at any ecosystem and there could be multiple forms of contamination-streams full of toxic chemicals from industrial processes, rivers overloaded with nutrients from farms, trash blowing away from landfills, city skies covered in smog. Even landscapes that appear pristine can experience the effects of pollution sources located hundreds or thousands of miles away. Pollution may muddy landscapes, poison soils and waterways, or kill plants and animals. Humans are also regularly harmed by pollution. Long-term exposure to air pollution, for example, can lead to chronic respiratory disease, lung cancer and other diseases. Toxic chemicals that accumulate in top predators can make some species unsafe to eat. More than one billion people lack access to clean water and 2.4 billion don't have adequate sanitation, putting them at risk of contracting deadly diseases. 2 NO Crackers!!! 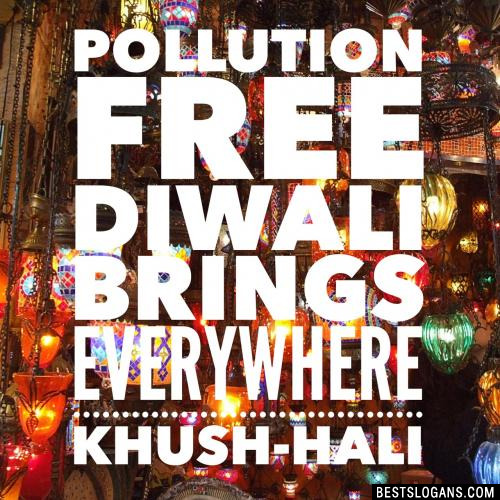 Lets celebrate A Pollution-free Diwali. 3 Air pollution is reducing the level of fresh oxygen! 5 Please help keep the world clean: others may wish to use it. 6 Stop destroying our planet, it's where I keep all my stuff. 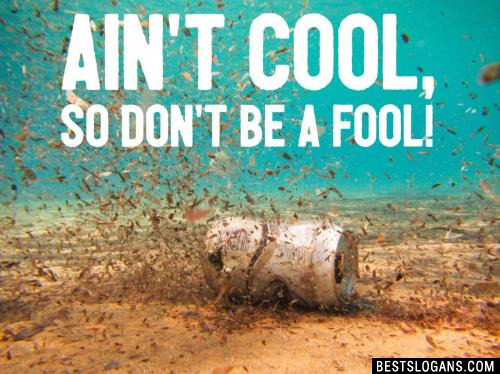 Pollution ain't cool, so don't be a fool! 8 Do your share for a cleaner air. 9 Don't burn the plastic as it makes our atmosphere drastic. 10 Modern technology owes ecology an apology. 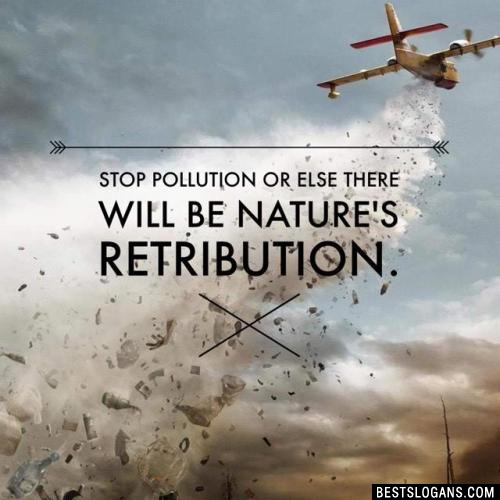 Stop pollution or else there will be nature's retribution. 12 Be part of the pollution solution. 13 Join the "No Pollution Revolution"
14 Consider the city your living room. Keep it clean! 16 To be fantastic don't litter with plastic. 17 Using plastic is going to be drastic. 18 Green revolution is the best Solution to remove pollution. 19 No pollution is the clear solution. 20 Don't be mean be green, help a fellow or the world will be yellow. Can you think of a good Pollution Slogans we're missing? Or come up with a clever one of your own. Please share below.